In a desperate bid to pay his wife’s bride price 10 years after impregnating her and luring her into cohabitation, Ekwene Itba is planning to sell one of his children to pay the bride price, a divorce-seeking woman, Esther Itba, told an Idi-Ogungun Customary Court at Agodi in Ibadan on Monday. “My Lord, I kept on worrying him to pay my dowry until we had three children, but he refused until recently when he sought my approval to allow him sell one of our three children to pay the dowry and formalise our marriage,” she said. The News Agency of Nigeria reports that Esther had approached the court seeking the dissolution of her 10-year-old “union” on the grounds of non-payment of dowry, ill-treatment and failure to carry out his responsibility. Esther told the court that Ekwene made love to her sometimes in 2007 and also impregnated her with a promise to pay her dowry later. “I thought he was joking but kept on asking me to allow him sell one of our kids if I wanted him to pay the money. “Also, I shouldered alone all the responsibilities for the feeding, school fees and other expenses of the three children. “I, therefore, urged the court to dissolve the union because I can no longer trust him following his plan to sell one of our children,” she said. The husband denied the allegations, saying he had paid the dowry and also formalised his union with Esther. He also denied any plan to sell one of his children for any purpose but described Esther as a troublesome woman, who never respected him as a husband. He, however, objected to the dissolution of the marriage, saying “I do not want the children to suffer”. 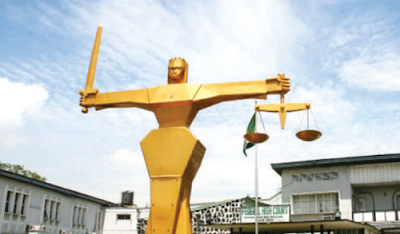 The President of the court, Makaila Balogun, adjourned the case for a possible settlement. He said the court was more interested in settlement of marriage disputes rather than dissolution, urging the couple to resolve their differences.